Forget about writer's block, it's all about writer's bulge!! 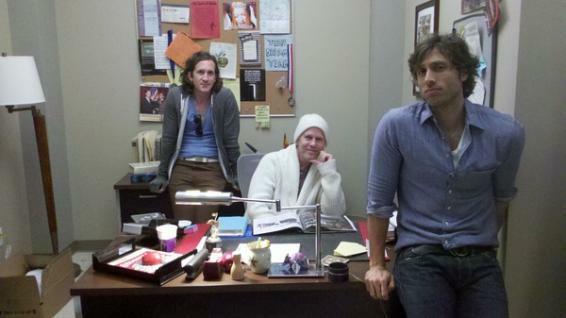 Specifically, Brad Falchuk's. He's giving some major box in the forefront--yummmmm! The other Glee writer in the background, Ian Brennan, is showcasing semi/almost non-existent.